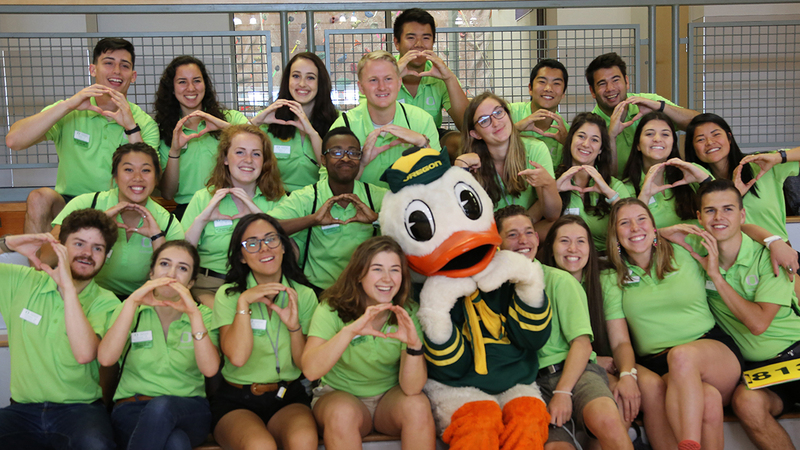 Beginning this fall, the UO's Holden Center for Leadership and Community Engagement will be overseen by the Office of the Dean of Students. After an extensive strategic planning process, the Division of Student Life is refocusing efforts on student engagement and outcomes. Leaders from programs and departments from across the division have worked to offer improved services that better support UO students as they work toward graduation. The reorganization of the Holden Center emerged as an opportunity to better reach students in support of those goals. The move to the Office of the Dean of Students will allow the Holden Center to reach new communities and better align with complementary programs in the dean’s office. “Having the Holden Center organizationally in the Dean of Students Office will allow us to further impact our fraternity and sorority organizations and our identity-based centers and programs by building on the meaningful leadership and engagement experiences the Holden Center currently offers,” said Marcus Langford, assistant dean of leadership and engagement, who will oversee the program. A national search for a new director of the Holden Center will launch in the coming weeks, with a target start date of fall term. “It is my hope this new director and our Holden staff will create new initiatives and enhance existing programs that reach more students and expand student learning,” Marbury said. The transition will start once the hiring process is complete.